Last year I created some siege weapons using only the Basic D&D rules and some information I had in the final D&D Next playtest packet. A lot of the weapons I gave statistics for are now part of the official fifth edition Dungeons and Dragons rules because they made an appearance in the Dungeon Master’s Guide. Siege weapons inspired by Labrynith are good, right? Right? Well I’ve decided to update the arcane cannon and create a new weapon dwarven drill into the upcoming Exploration Age Campaign Guide. I’ve also added some new ammunition for the cannon, mangonel, and trebuchet in the Dungeon Master’s Guide. Take a look at the rules below and let me know what you think. These new siege weapons are meant to be used with the rules found on pages 255 – 256 in the Dungeon Master’s Guide. They can be added to any game at the DM’s discretion. An arcane cannon is usually supported in a metal frame with wheels. Before it can be fired the cannon must be loaded and aimed. It takes one action to load the weapon, one action to aim it, and one action to fire it. The weapon must be fired by a spellcaster, who feeds an amount of magical energy akin to casting a cantrip into the cannon. Acid Canister. An acid canister explodes as soon as it leaves the cannon’s muzzle, spraying acid in a 30-foot cone from the front of the cannon. Creatures in the area must make a DC 15 Dexterity saving throw. Creatures who fail take 22 (4d10) acid damage and can use their next action to roll on the ground to wipe the acid off their bodies. Creatures who do not use their action to wipe the acid off their bodies take another 11 (2d10) acid damage at the end of their next turn as the acid continues to each at their flesh. Creature who succeed take half damage and do not need to wipe the acid off their bodies. Fire Canister. The fire canister explodes as soon as it leaves the cannon’s muzzle, shooting fire in a line 100 feet long and 5 feet wide. Creatures in the area must make a DC 15 Dexterity saving throw. Creatures who fail take 33 (6d10) fire damage. Creature who succeed take half damage. Lightning Canister. The lighting canister can be shot 800 feet. It explodes in a 20-foot-radius sphere. Creatures in the area must make a DC 15 Dexterity saving throw. Creatures who fail take 33 (6d10) lightning damage. Creature who succeed take half damage. Poison Canister. A poison canister explodes as soon as it leaves the cannon’s muzzle, spraying poison gas in a 30-foot cone from the front of the cannon. Creatures in the area must make a DC 15 Constitution saving throw. Creatures who fail take 22 (4d10) poison damage and are poisoned for 1 minute. Creatures who succeed take half damage and are not poisoned. A creature poisoned in this way can repeat the saving throw at the end of its turn, ending the poisoned condition on a success. This tread-lined wheeled vehicle has an enormous, rotating wheel covered in drill bits large and small. It was originally designed for digging large mining tunnels, but the vehicle has proven effective in destroying enemy walls and breaking enemy ranks so it is now used in war. The drill can seat up to two creatures in an enclosed, window-lined carriage and requires at least one creature to operate. 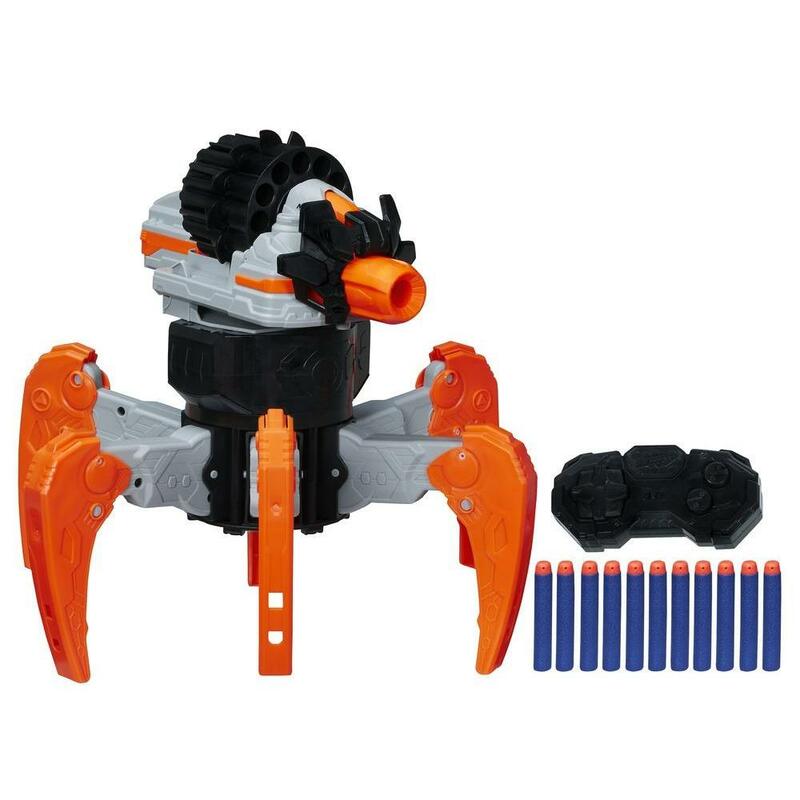 A creature seated in the drill can use its action to make the drill move forward 80 feet in the direction it is facing or it can use its action to turn the drill so it faces a new direction. Drill Press. When the drill runs into a large structure (such as a building, mountain, or wall) it deals 1d10 piercing damage to the structure for every 10 feet of movement it has remaining. If the drill runs into a creature or smaller object, the target must make a DC 15 Dexterity saving throw. Creatures who fail are pushed along for the rest of the drill’s movement and take 1d10 piercing damage for every 10 feet of movement the drill pushes them. Creatures who succeed dodge out of the way into an adjacent space the drill did not pass through. If they are unable to get out of the drill’s way, a creature automatically fails this saving throw. The siege weapons on pages 255 – 256 of the Dungeon Master’s Guide. The listed weapon can be loaded with the proper ammunition and then fires as described. The ammunitions can be added to any game at the DM’s discretion. Canister Shot. This canister is full of bullets and explodes in a 30-foot cone immediately when it exits the cannon. Any creatures in the area must make a DC 15 Dexterity saving throw. Creatures who fail take 22 (4d10) piercing damage. Creatures who succeed take half damage. Chain Shot. Ranged Weapon Attack: +6 to hit, range 600/2,400 ft., one target. Hit: 22 (4d10) slashing damage. Special: This attack deals triple damage to cloth targets such as a ship’s sails. Shell. A shell is a special cannon shot which can be fired 600 feet and explodes in a 20-foot-radius sphere on impact. Creatures within the area must make a DC 15 Reflex saving throw. Creatures who fail take 22 (4d10) piercing damage. Creatures who succeed take half damage. Mangonel Flaming Barrel. Flaming barrels of oil and pitch can be loaded onto a mangonel and up to fired 200 feet (and no less than 65 feet). The barrel explodes in a 10-foot-radius sphere on impact. Creatures in the area must make a DC 13 Dexterity saving throw. Creatures who fail take 16 (3d10) fire damage. Creatures who succeed take half damage. The ground in the area where the barrel exploded is filled with burning pitch and oil until the start of the turn of the creature who fired the mangonel. Creatures and objects which start their turn in or enter the area take 5 (1d10) fire damage. Trebuchet Flaming Barrel. Flaming barrels of oil and pitch can be loaded onto a trebuchet and fired 300 feet (and no less than 65 feet). The barrel explodes in a 15-foot-radius sphere on impact. Creatures in the area must make a DC 13 Dexterity saving throw. Creatures who fail take 27 (5d10) fire damage. Creatures who succeed take half damage. The ground in the area where the barrel exploded is filled with burning pitch and oil until the start of the turn of the creature who fired the trebuchet. Creatures and objects which start their turn in or enter the area take 5 (1d10) fire damage. Did you like these rules? Hey, if you did, go ahead and use the link below to grab these siege weapons in a free PDF. I sit down with Rudy Basso, Alex Basso, Ray Fallon, and Andrew Timmes to discuss Pendelton Ward, Adventure Time and Bravest Warriors creator, visiting Wizards of the Coast to collaborate on a future D&D story and an announcement from Monte Cooke Games about their upcoming Kickstarter for No Thank You, Evil. This podcast was recorded on April 23, 2015.